We know the convenienced and important parts. Trust our long-time experience in exhibition stand design and booth construction. We offer exhibition stand designs as a part of smart concept solutions. You benefit from efficient processes and reduced planning effort. Each exhibition stand design is a highlight - our designs attract attention and are perfectly tailored to your individual requirements. We are your specialist for lively brand communication. Your exhibition stand must to leave a lasting impression and attract more visitors to your exhibition stand. The combination of reasoned exhibition stand concept and striking exhibition stand design helps you to achieve your trade show goals quickly and effectively. See. Experience. Feel. At trade shows and events customers are as close as possible to your company. We guarantee you innovative ideas and extraordinary details in harmony with your corporate design. 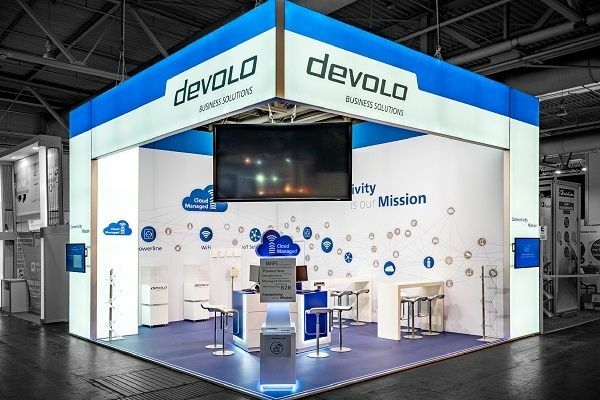 The first impression is fundamental to sucess - a CI compliant, serious and high quality design for devolo. 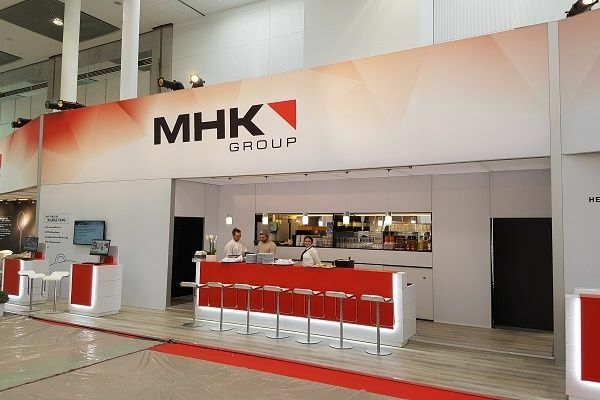 An impressive company presentation with an exclusive and modern design for MHK. 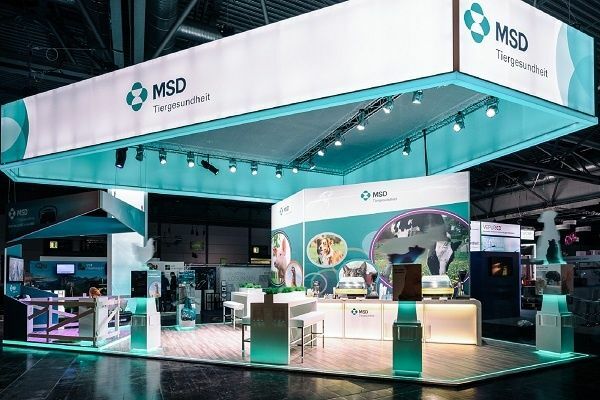 Trendy colors in a serious design make a lasting impression on the exhibition stand from MSD.